Telecommunication providers don’t intend to let newcomers like Sigfox or Semtech (LoRa) get all the fun and money with the Internet of Things, and that’s why LTE Cat M1 (eMTC) and Cat NB1 (NB-IoT) have been standardized. We have already covered module and silicon vendors products such as U-blox SARA-R4 / SARA-M2 modules, or Mediatek MT2625 SoC supporting the new protocols defined in 3GPP release 13 specifications. U-blox even have a module that supports both NB-IoT and eMTC in a single chip, but they are not alone anymore, as a startup called Riot Micro introduced RM1000 baseband NB-IoT & eMTC chip. 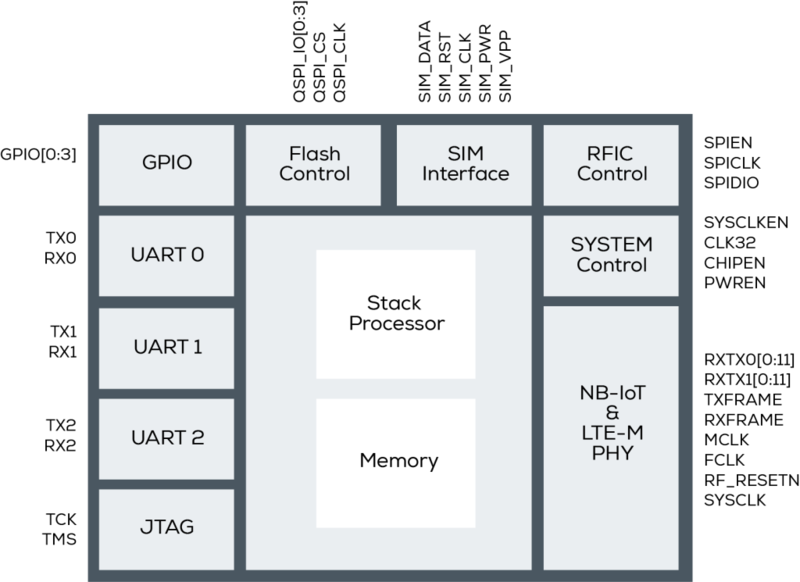 The MCU core is said to handle LTE-M/NB-IoT L1/L2/L3, IPv4, IPv6, TCP, UDP, SSL protocol stacks, as well as the AT Command stack. The company explains they applied techniques from the “BLE/Wi-Fi architecture to design the chip with cost/power levels characteristic of short-range wireless systems”. Riot Micro RM1000 is available now in either an 8×8 mm 68-pad QFN package, or a 3.5×3.2 mm WLCSP, and reference designs for evaluation and module design can be provided to customers. More details may be found on the product page.